Dr. Jennifer Morris is a Research Scientist at the MIT Joint Program on the Science and Policy of Global Change. Much of her research focuses on risk analysis, uncertainty analysis, and decision-making under uncertainty in energy and environmental systems. This work involves quantifying key uncertainties (e.g. changes in world markets, policies, technologies, climate, etc. ), and applying different methodological approaches to models in order to formally represent such uncertainties and explore how they impact near-term decisions. A key focus is evaluating risks to different investment options in energy and water and identifying those that are robust to potential risks. 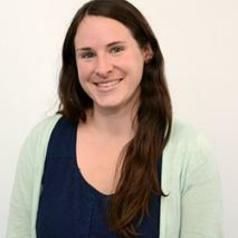 Jennifer also works on the assessment of energy technologies and energy/climate policies, and contributes to the development of the Joint Program’s computable general equilibrium model, the Economic Projection and Policy Analysis (EPPA) model. She holds a PhD in Engineering Systems and a M.S. in Technology and Policy from MIT.